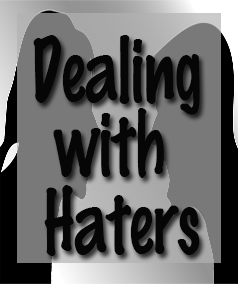 Dealing With Haters - Better Believe It! Today I’m going to tell you about a challenge I faced in my life today. It’s not just today’s issue, as it’s the same issue that has bothered me my whole life. It’s an issue of people who don’t like me, and I have no idea why. I was adopted at the age of one. My adoptive parents hated me from the very beginning. My mother was extremely abusive in every way, 24/7, and my father just flat-out hated me as well. He would beat me if my mother told him to, but other than that, he pretended like I didn’t exist. Just as an example, I was standing in one of the rooms at our house. He wanted to go to the kitchen, and he needed to walk through the room I was in to get there. So, he walked right into me as if I weren’t there, knocking me down. He pretended like I was not there, so I protested, saying, “I’m taking up space here!” But as always, he neither looked at me or responded in any way. If I spoke to him, he acted like I wasn’t there or he couldn’t hear me. He never looked at me; he’d look past me. I moved out when I was a junior in high school to live on the streets, since that was a preferable existence. I contacted them, trying to be nice, still trying to make them like me, but that was wasted effort. My mother died a year later, and my father disowned me and would not ever speak to me again. He would, however, tell anyone who would listen anything bad he could dream up about me: that I was using or selling drugs, that I was a prostitute, and I don’t even know what else. Many family members sided with them and decided I was no good. I have had no contact with anyone in that family (except my sister) for over 30 years. My sister followed suit. When she needed help, I’d be right there. I let her live in my house for a year rent free. I gave her gifts and cards for birthdays and Christmas. She didn’t want to speak to me, though. I never got a “Happy birthday” or a “Merry Christmas” in return. She ignores me for the most part, and we go years without speaking. Her 2 kids are grown now, and it’s the same thing with them. If I’m around, they pretend I’m not there. They look past me, they never say “hi”, they want nothing to do with me. I Won’t Find an Answer to Every Question – and That’s Okay. 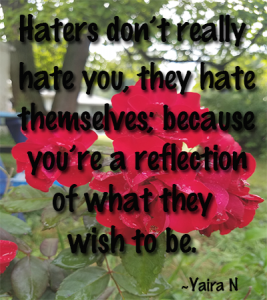 For so many years, I needed to know the answer to my question, “Why don’t they like me?” I’ve spent so many years pondering this question from every conceivable angle, and I still have absolutely no clue. So I accept the fact that I will not get an answer. Maybe when I die, all answers will be revealed. But I’m not going to try to answer it anymore. Maybe there is no answer. I regularly do self-examination. Every day, in every action, I try to be a good person. I try to love everyone. I do good whenever I can. I have never, in my whole life, done something to someone with a bad intention. So the real question is not “What do they think of me?” The only question I need to be concerned with is, “Am I being the best person I can be?” Am I proud of the person I am? The answer to that is “yes”. Who I am should be my only concern – not what others think of me. What they think of me is on them – all I can do is be the best person I can be. 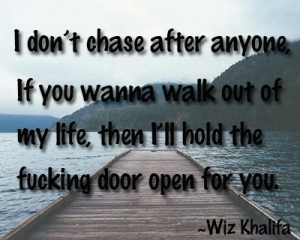 Take it or leave it. I will focus on – and appreciate – the people who do like me. I think you’re an awesome person. I was just thinking in the car today about what an awesome person you are. So like I’m kinda shocked by this email. Cuz like hello you’re the awesomest person i know. Like you help people and you put up with people you don’t like. You’re doing what you want to do. You didn’t like your job so you just quit which is cool since many ppl wish to do what u did. You’re just an awesome preson. My opinion is your just around the wrong people. Most people only care for themselves. I’ll simply focus on the people in my life who do like me. The ones who don’t can just go on their merry little way. Maybe the biggest problem is that I thought, “Maybe they’re right. Am I unloveable? Is there something wrong with me?”. Taking what they believe to be my truth was the wrong thing to do. When I look at the facts and see how I treat people, and how I act in the world, I see they are wrong. I am not a piece of trash. I am not unloveable. I won’t accept their judgments as my truth. I have the power to control myself. I can continue to feel hurt, or I can make a different choice. What I do defines who I am. And I choose to love, forgive, and be a good human being. Maybe their disregard for me comes from their own problems – their own pain. I don’t know. But I know who I am. So I choose to forgive them and love them from afar. Because it’s not about them. It’s about who I choose to be. And I am not a victim. I am in control of myself. I wish them well. 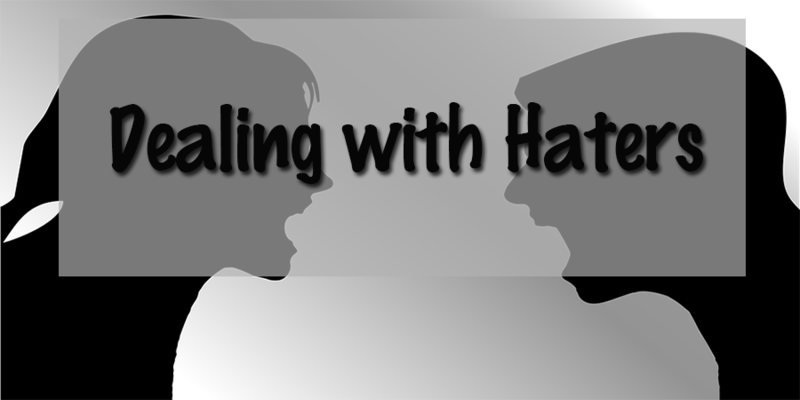 Do you have haters in your life? How do you deal with them? Please share in the comments below.